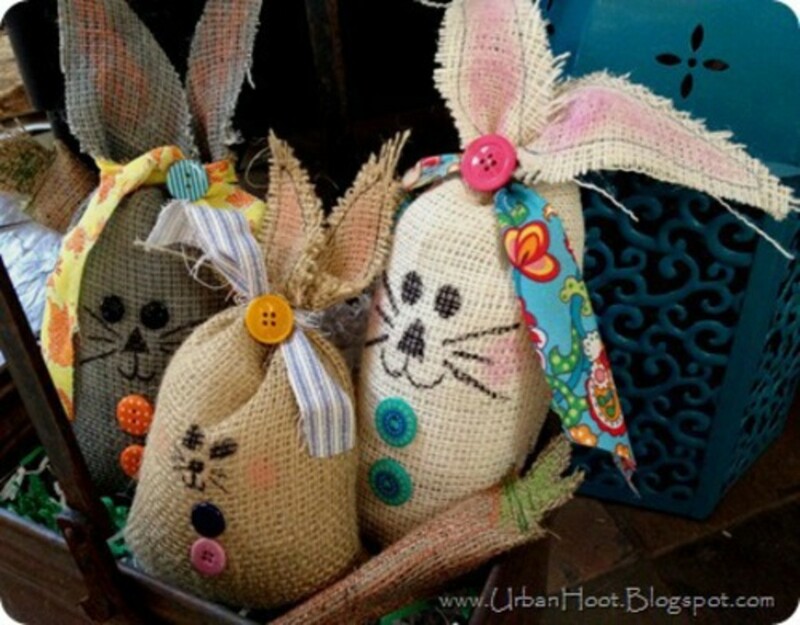 The best bunny crafts aren't just for Easter. Bunny crafts are for everyone at any time. 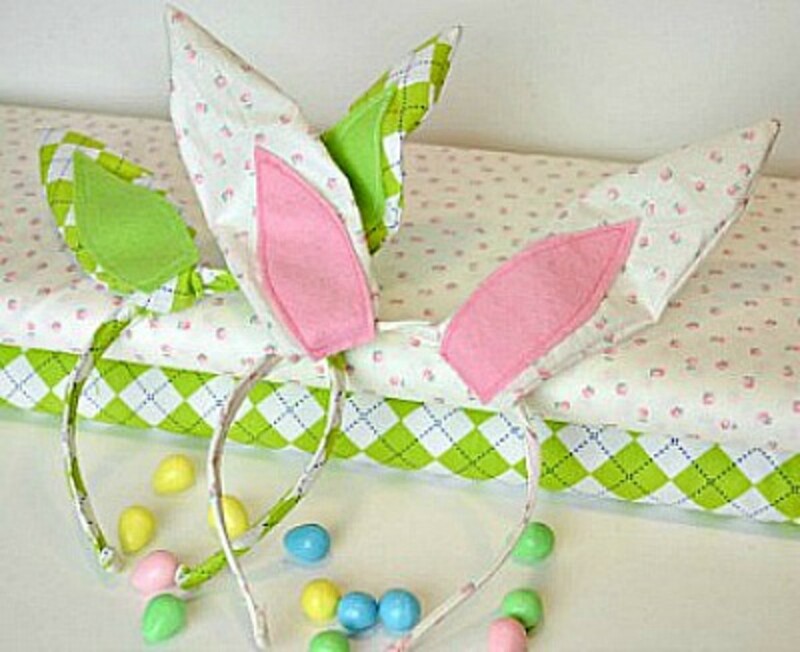 I made an internet search to find these anytime bunny crafts and in this article will be sharing my findings with you.In my search I looked for the best bunny crafts I could find that had directions included. 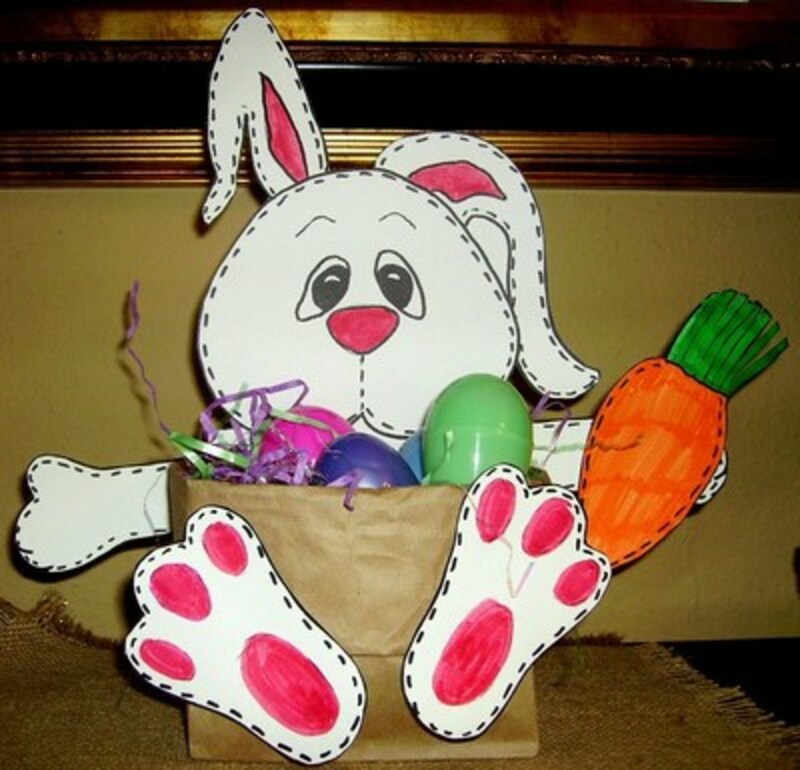 These sites show you how to make a variety of bunny crafts; some will be just what you want to do with your kids, and a few you will want to make for decorating or entertaining. Find the tutorial for making the cute Hop a Lot bunnies shown above at Urban Hoot . 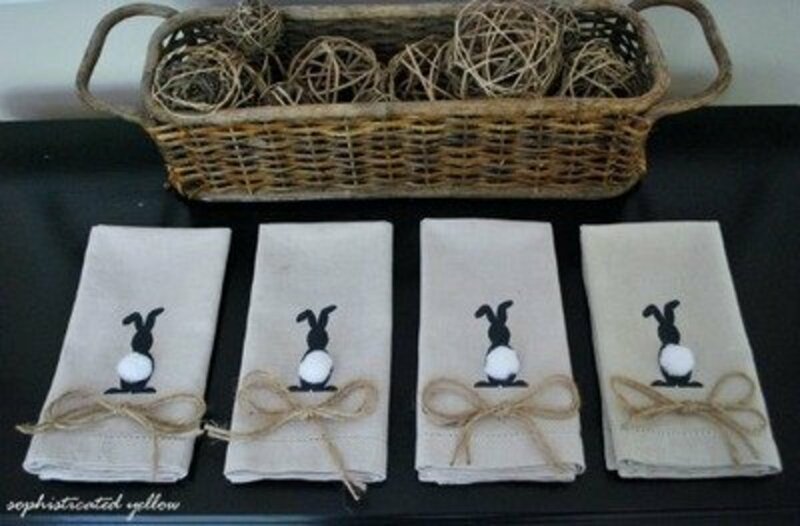 Your Easter table will have an extra sophisticated look if you include these beautiful bunny napkins. See how to make them by going to the DIYSelfy site. 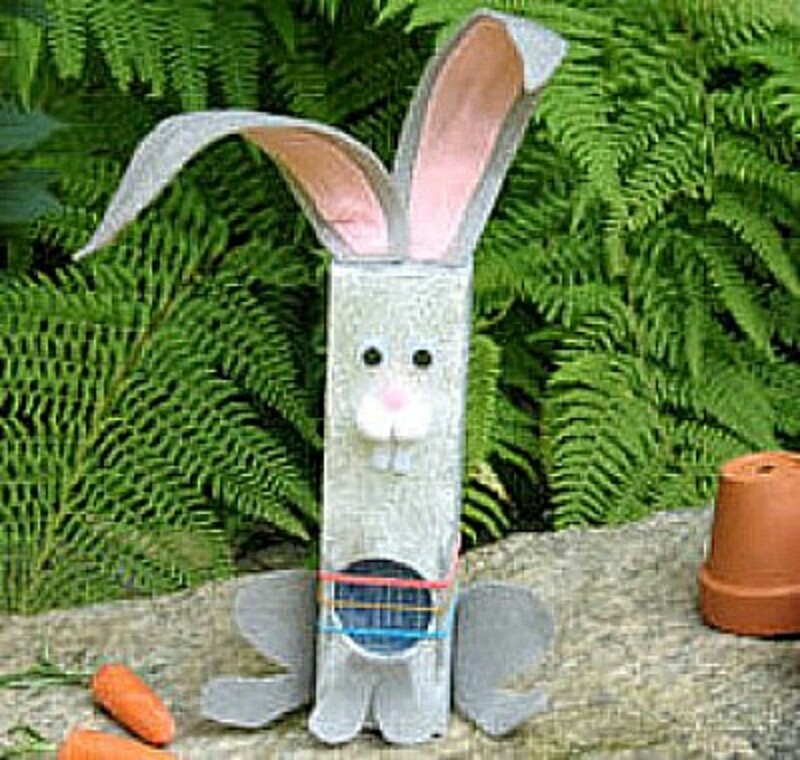 This bunny is simpler to make than it looks. To check out the instructions, go to favecrafts. 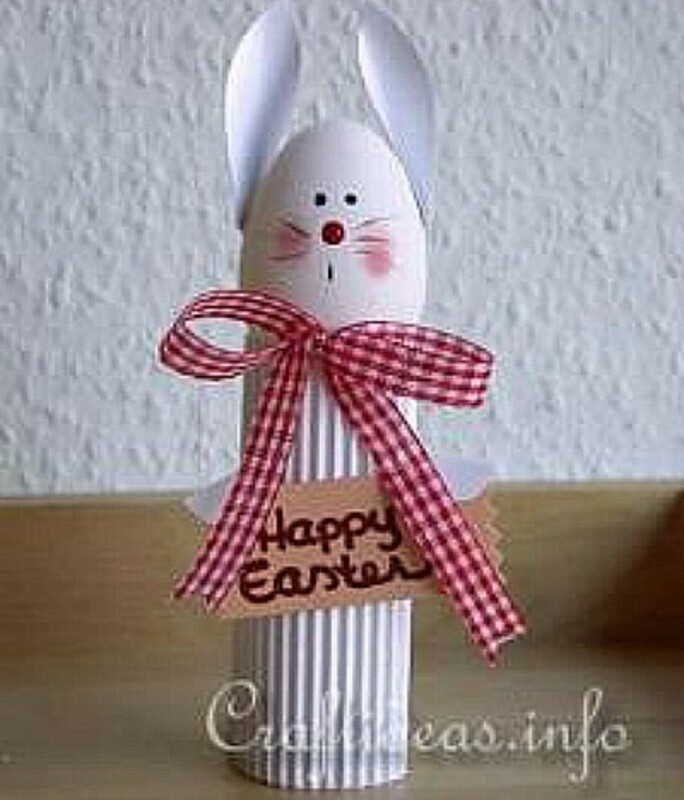 If you like to give a small Easter gift to a classroom of kids, or a Sunday school bunch, these bunny pencil toppers are inexpensive to make and very cute. You'll find the instructions for making them at Little Miss Celebration . I love these little roly poly bunnies. Imagine making a basket full of them to give as gifts or for prizes. 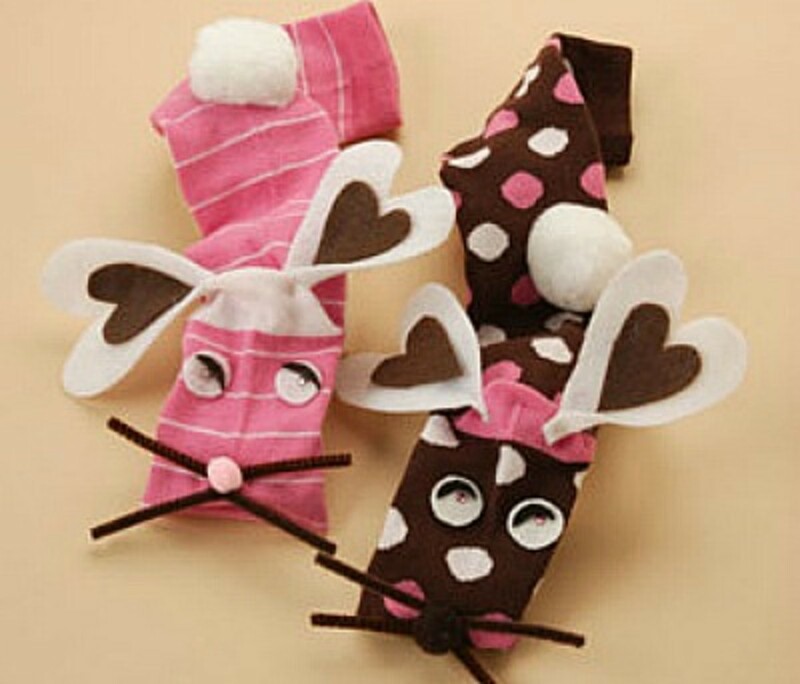 The tutorial for making the little bunnies is found at Flamingo Toes . 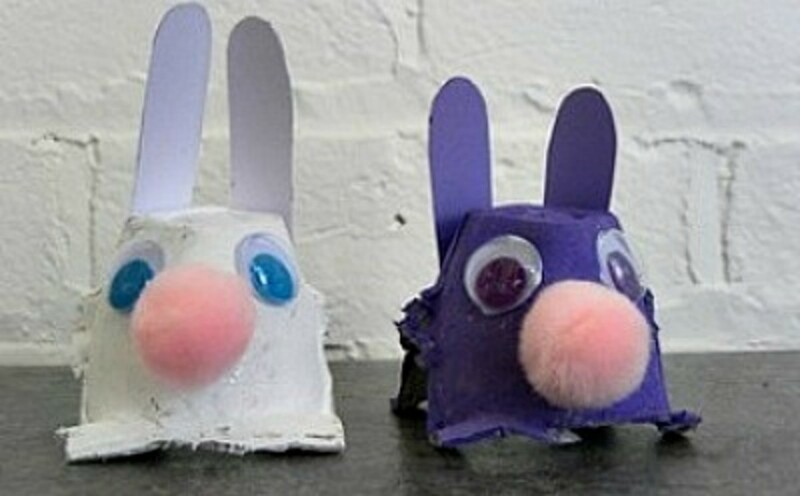 Making little bunnies out of egg cartons is a great idea. 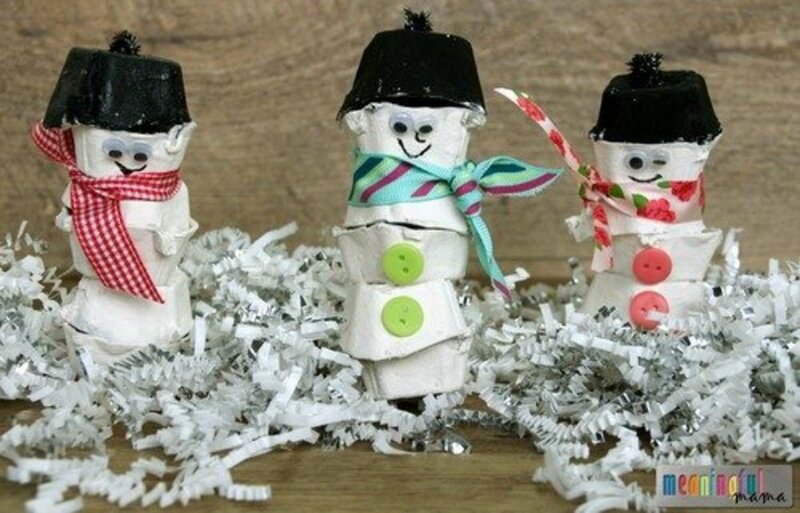 The kids will love making them and you'll love showing off their crafting talents. Sometimes the ones that aren't perfect are the cutest ones of all. 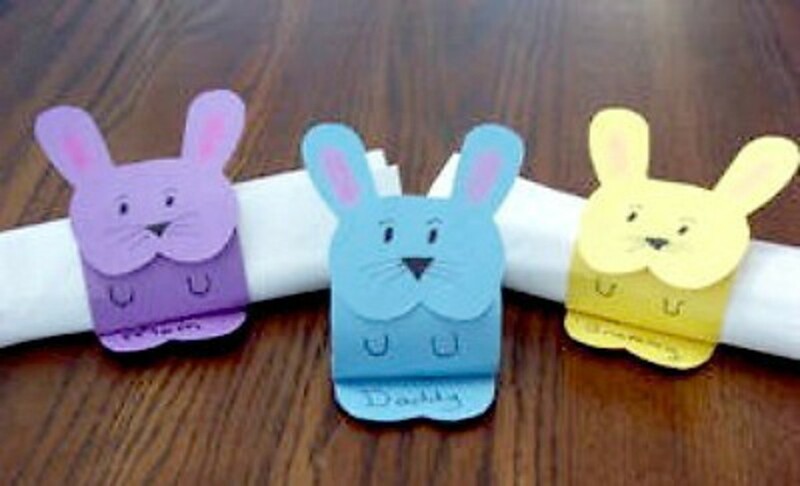 Go to SUNSHINE Whispers for the instructions for making the egg carton bunnies. Have you ever noticed what cute socks that are available around Easter time? Be sure to stock up on them so when one gets lost you'll have a sock to make a sock bunny from. 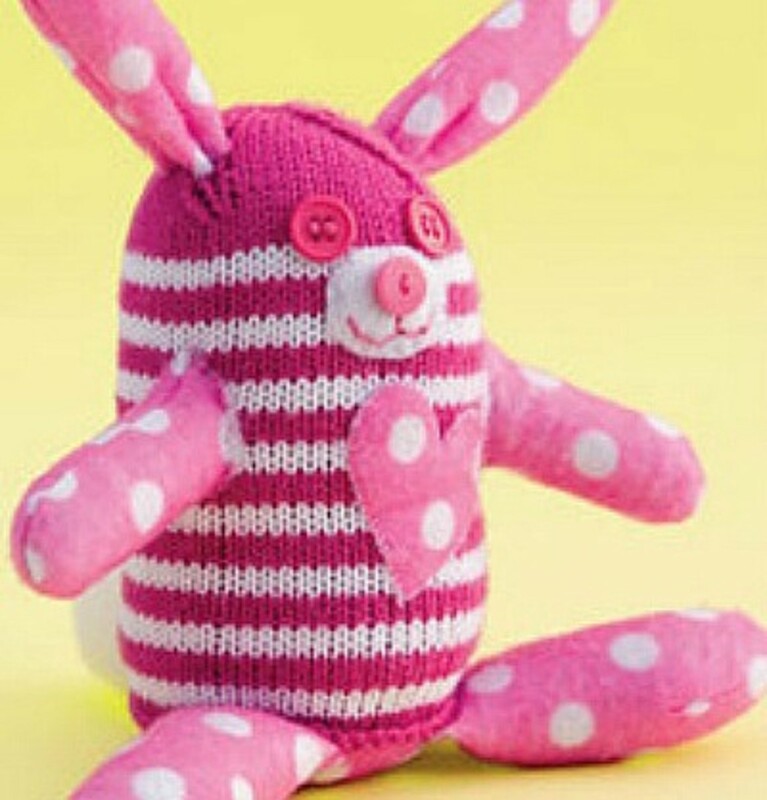 You'll find the tutorial for making this sock bunny at the Craft Passion site. 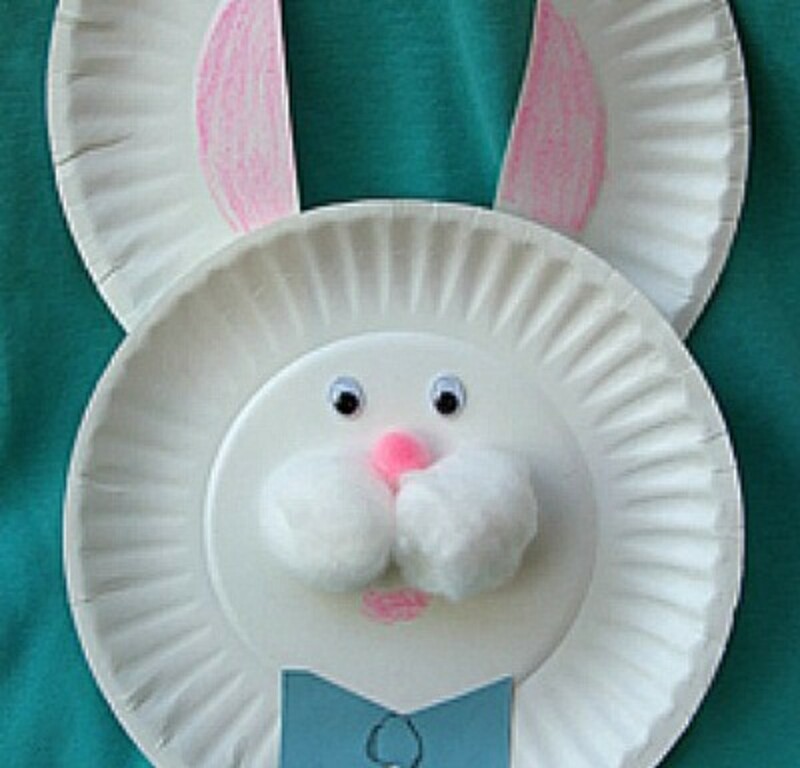 The instructions for making a paper plate bunny face is found at free preschool crafts. I don't know what these little pops are called today, but when I was a kid I think they were called Dum Dums. Anyway, the candy sucker is perfect for making these little bunny pops. 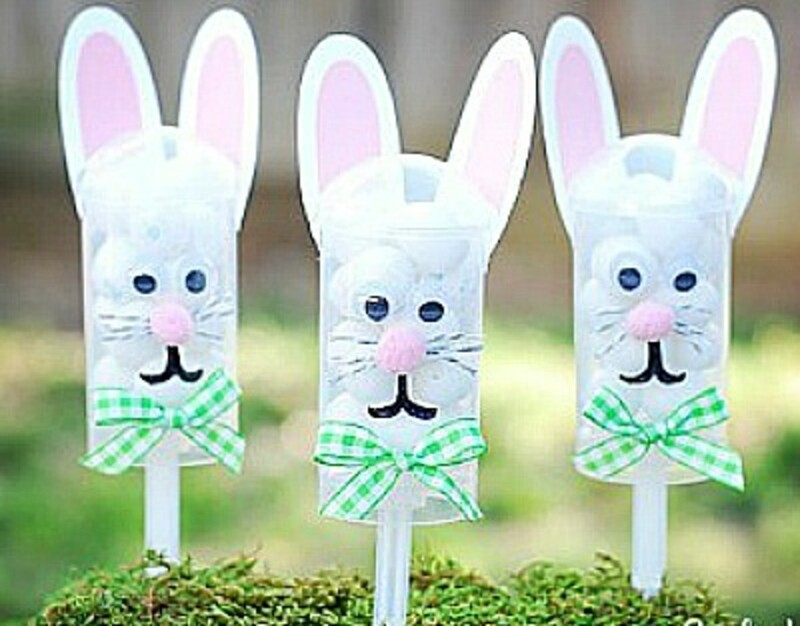 Find the instructions at FREE-N-FUN Easter and make bunny pops for everyone. 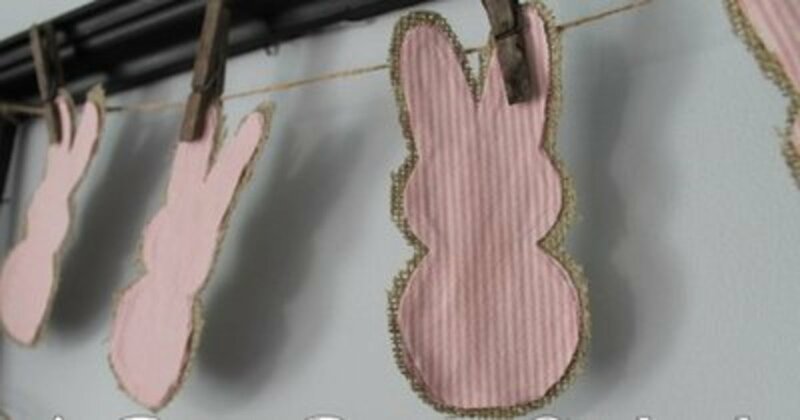 Burlap and printed calico fabric team together to make a extra cute bunny garland. 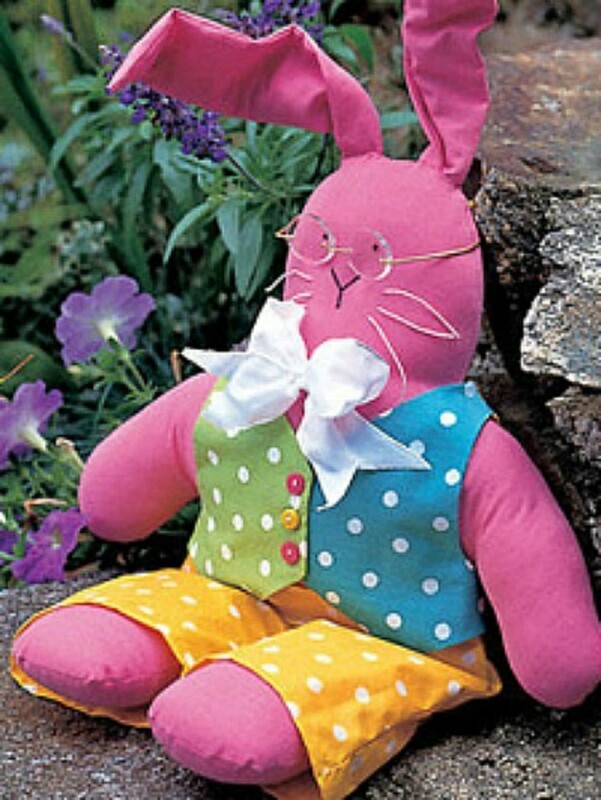 You'll find the tutorial for the cute bunny craft at THE COUNTRY CHIC COTTAGE . A super easy-to-make felt bunny basket that the kids will enjoy making. 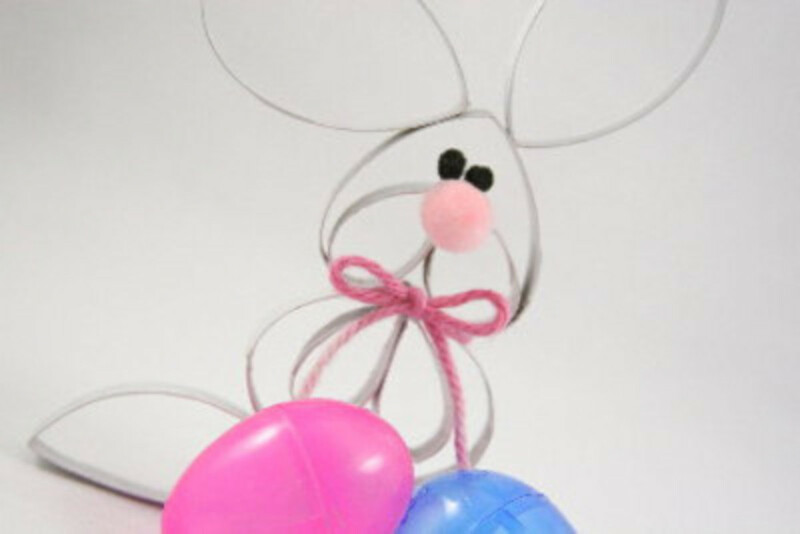 Follow the instructions at Lotta Magazine to make these bunny ear handled basket. 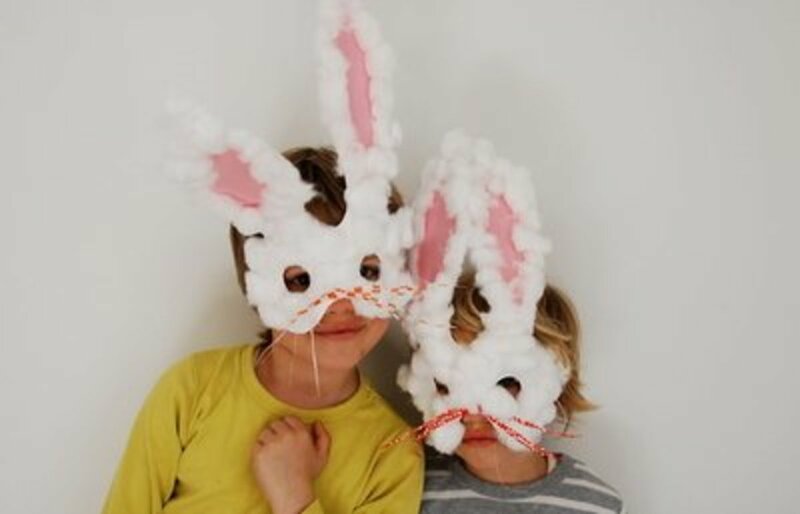 You'll need heavy cardstock to make a bunny mask that will have ears that stick up. Decorating the mask with cotton balls is an activity the kids will love. 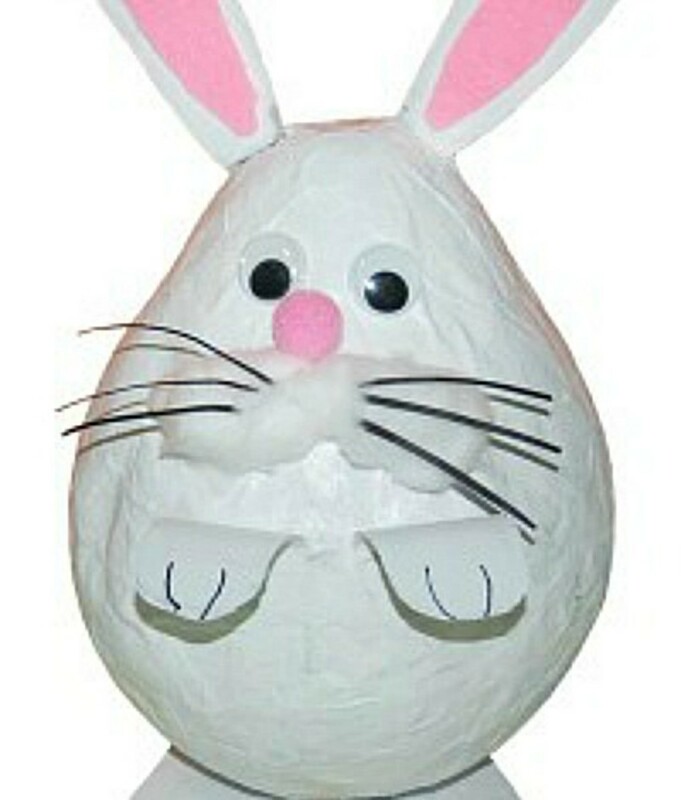 Find the instructions for this bunny mask at BABYCCINOKIDS. 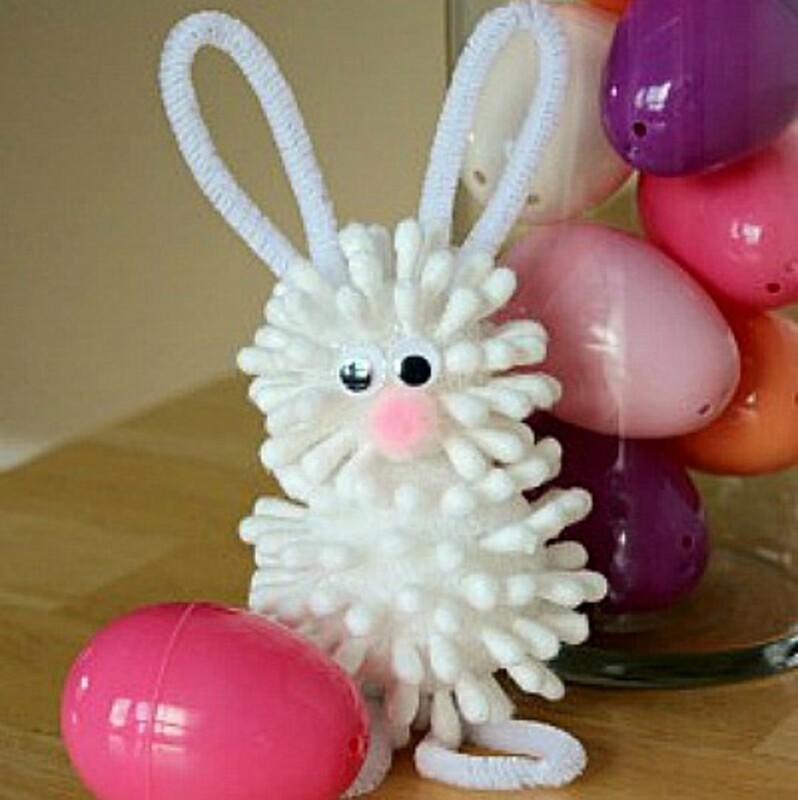 The kids will spend hours playing with this easy to make hopping bunny. 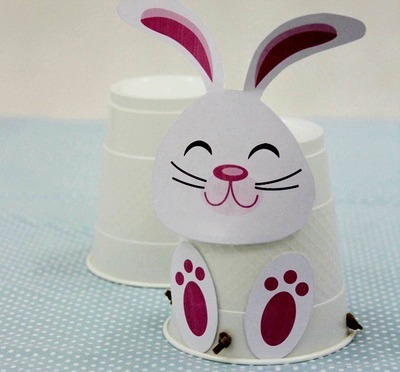 Find the tutorial at Lotta Magazine, to see how to make a hopping bunny using two paper cups. 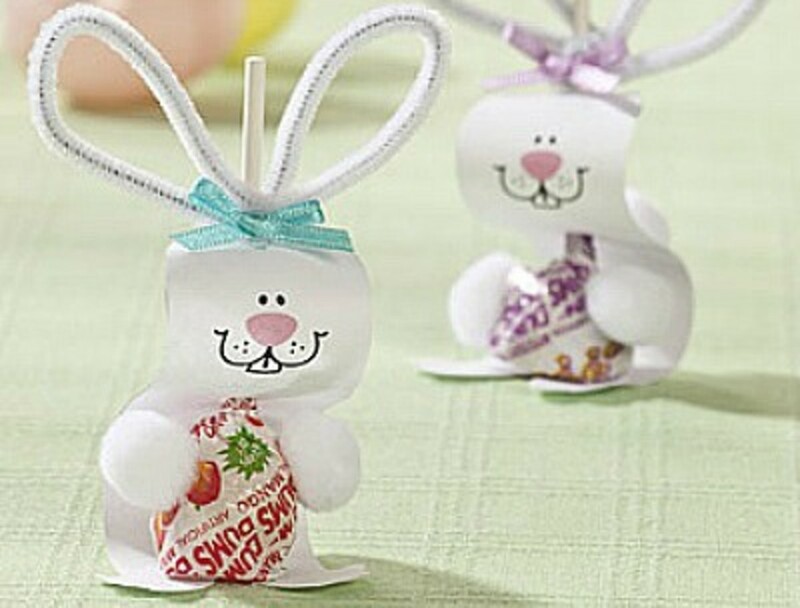 I love these little bunny favors. 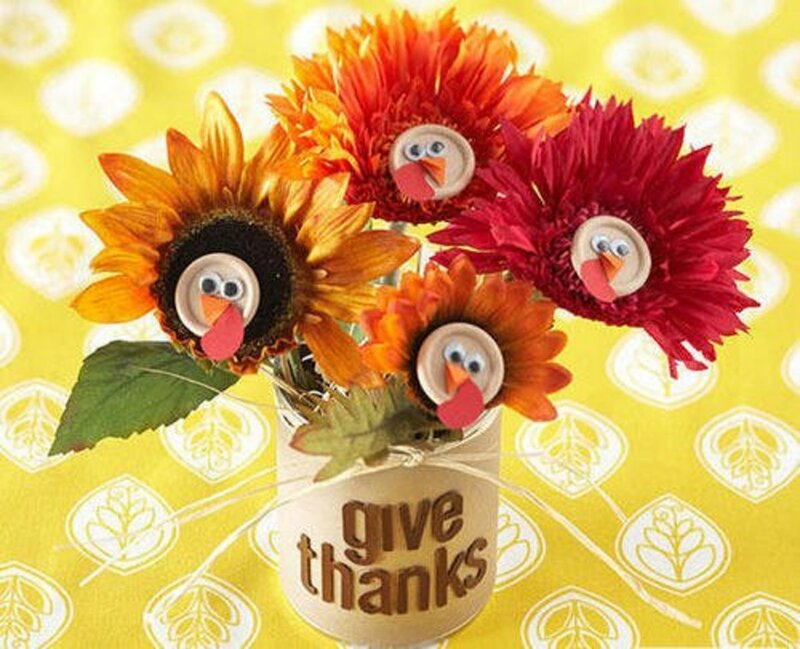 You'll find the directions for making them at Craft with Mom. 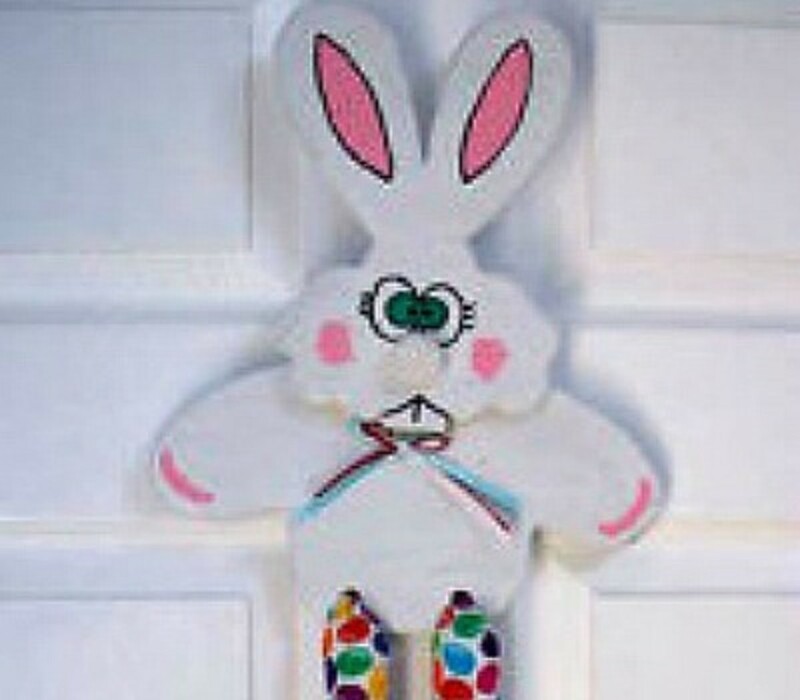 Make this cute little bunny bag and hang him on a doorknob to welcome your little guests. Get the directions at Craftbits.com. You'll want this little bunny hanging around your home this Easter because he's just soooo cute. 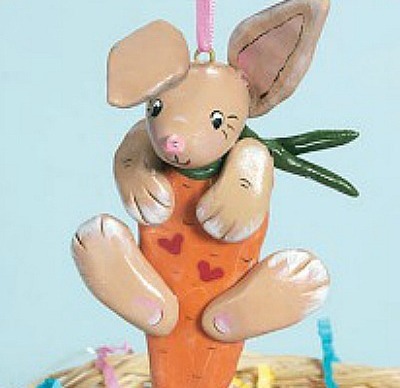 Find out how to make this clay bunny ornament by following the tutorial at Craftideas. 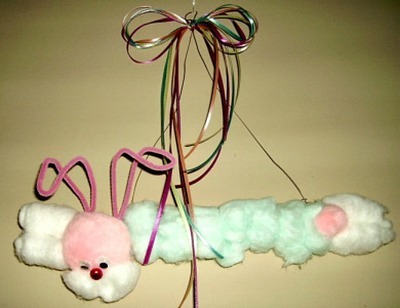 The kids will love making this bunny using a paint stick, cotton balls and pom-poms. For the directions, go to Hanging Cotton Ball Bunny. 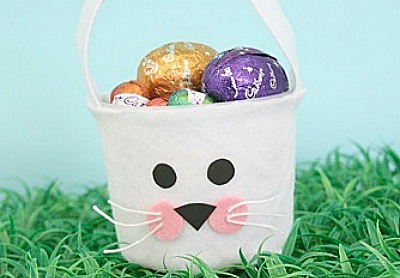 For the patterns and directions for this bunny basket, go to Kids & Glitter. This is a wood project, but if you are doing it with kids, use cardstock or posterboard for the body, head, arms and feet, and accordion pleat construction paper for the legs. For the directions for this project, go to Craft Elf. This bunny has very long legs. 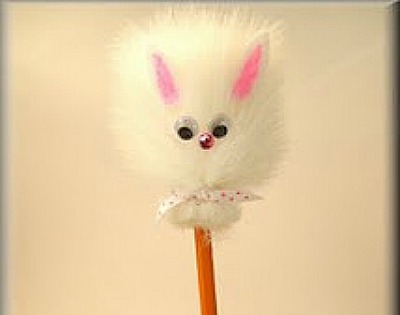 Made from a bit of fake fur, these little pencil toppers look very furry when you give them a twirl. Go to Ponderings of Paula for the directions. 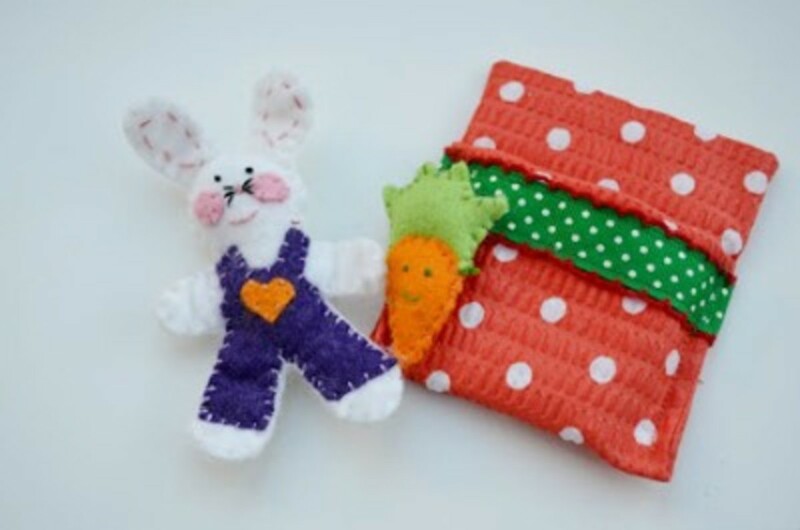 Make this super cute felt bunny, and his felt carrot friend and sleeping bag, by following the directions that you'll find at SNUGGLEBUG UNIVERSITY. 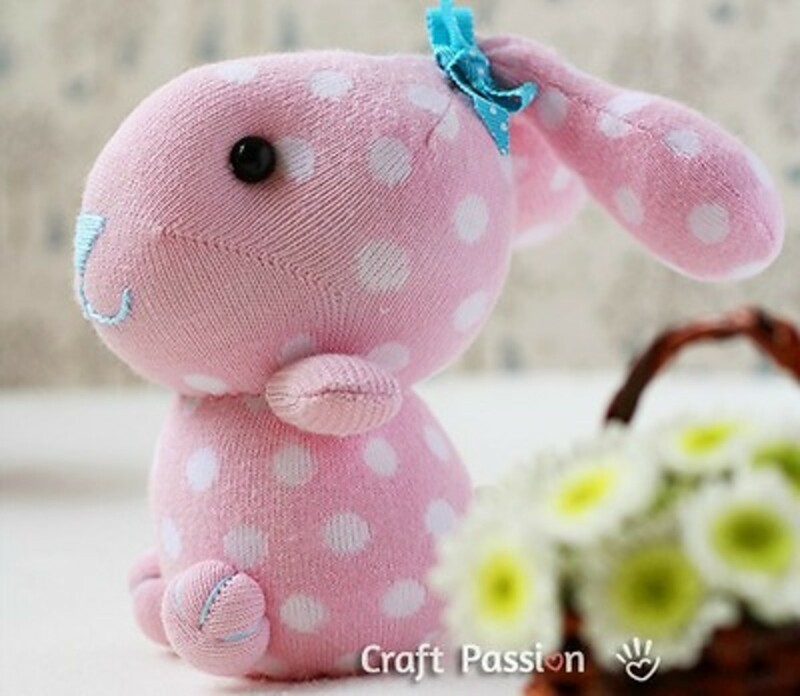 This little bunny, whose directions you can find at Craftideas.info, is a very elegant little item. 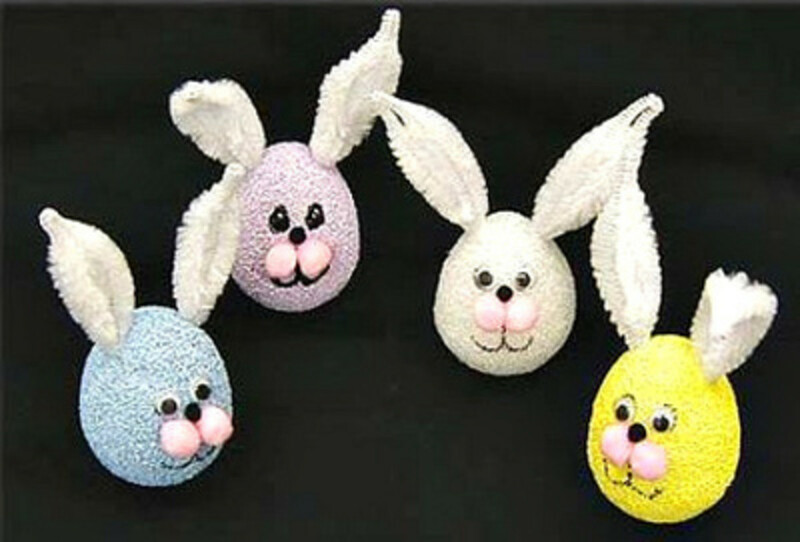 You can make lots of cute little bunnies like these styrofoam egg bunnies, by going to Ben Franklin for the directions. These are super cute bookmarks, but I can imagine they would be sweet necklaces too. Just add a small eye hook to the top of the head bead. 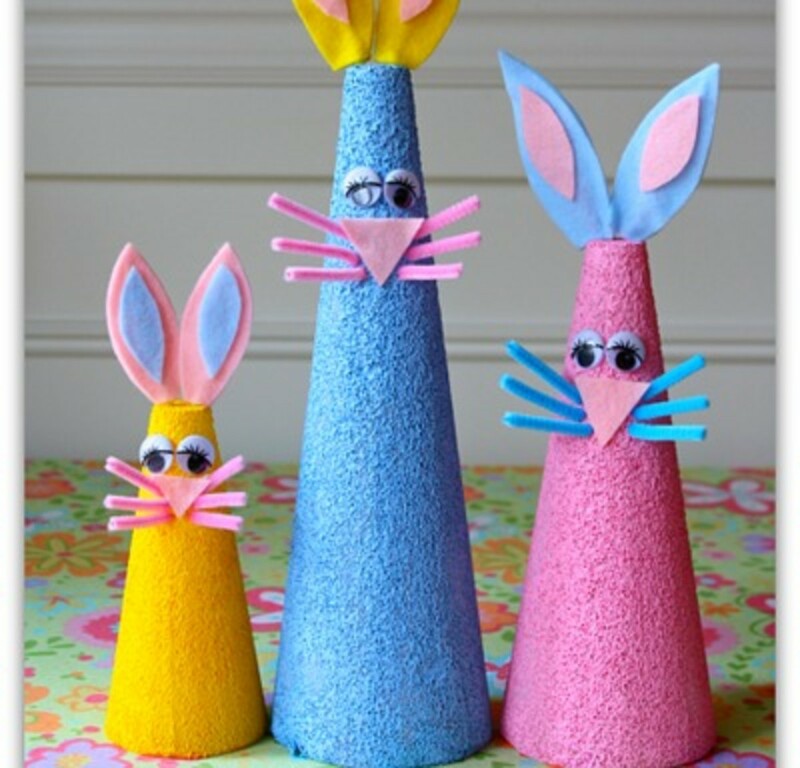 Find the instructions for making these bunnies at Big and Small. We always have an empty egg carton around to use for a craft project, and this is a perfect project for the little kids. 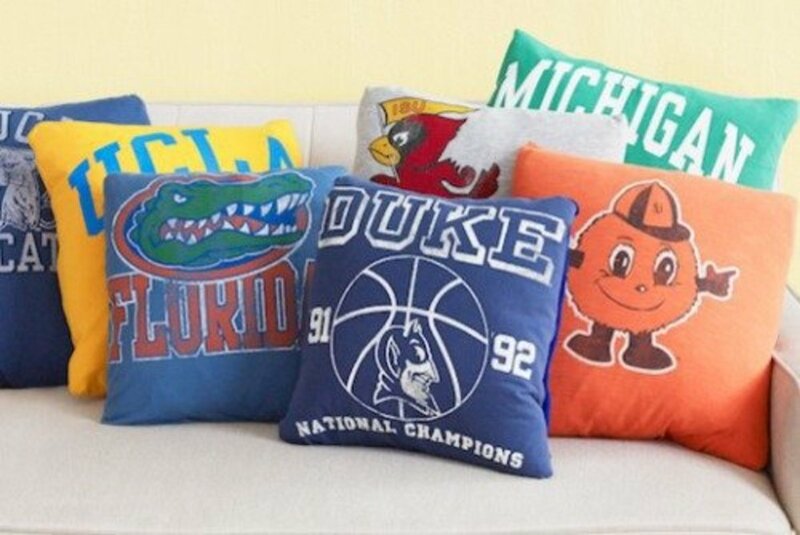 Cute and inexpensive to make. Go to The Kid's Fun Review to see how it's made. Make this little banjo bunny by finding the directions at Disney Family. I was surprised to see how this project was done. 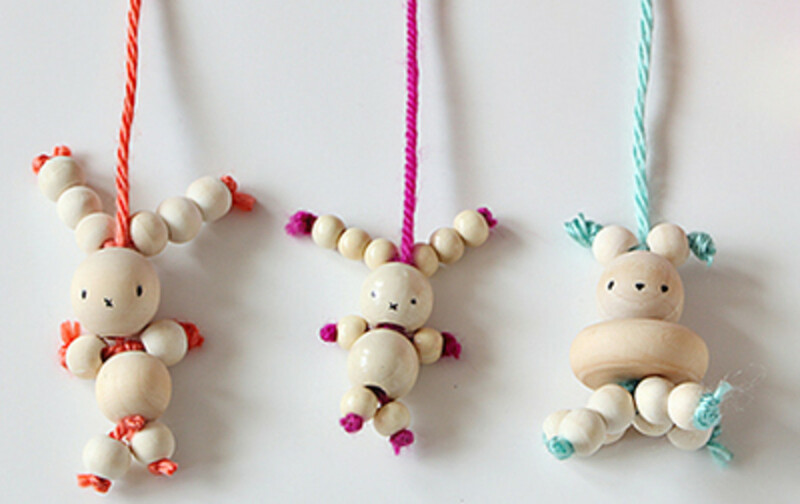 Check it out at CHILDMADE where they make the bunny and also show how to make other animals. 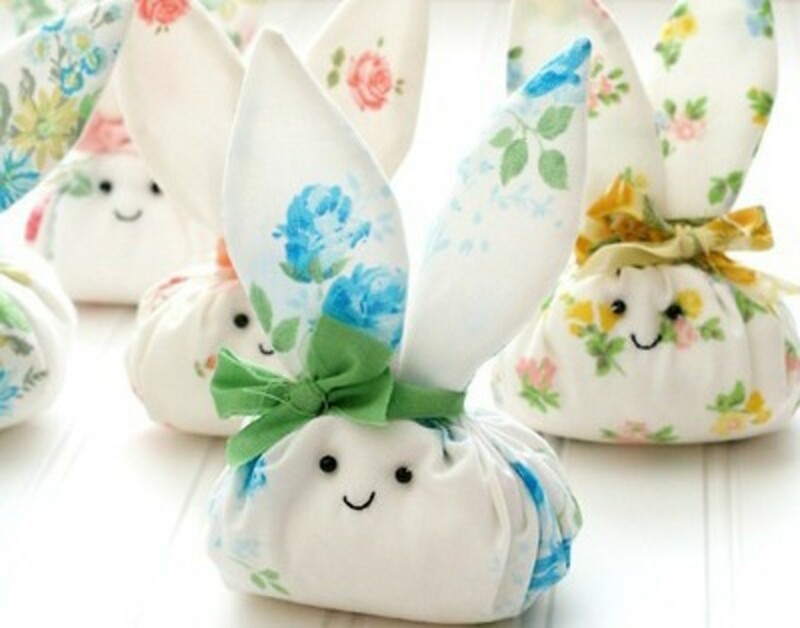 Very adorable bunnies that you'll find at CRAFTS BY Amanda, with the directions. This one's for the knitters. This is such a cute bunny---I wish I knew how to knit. Go to Woman's Day to get the instructions for this project. 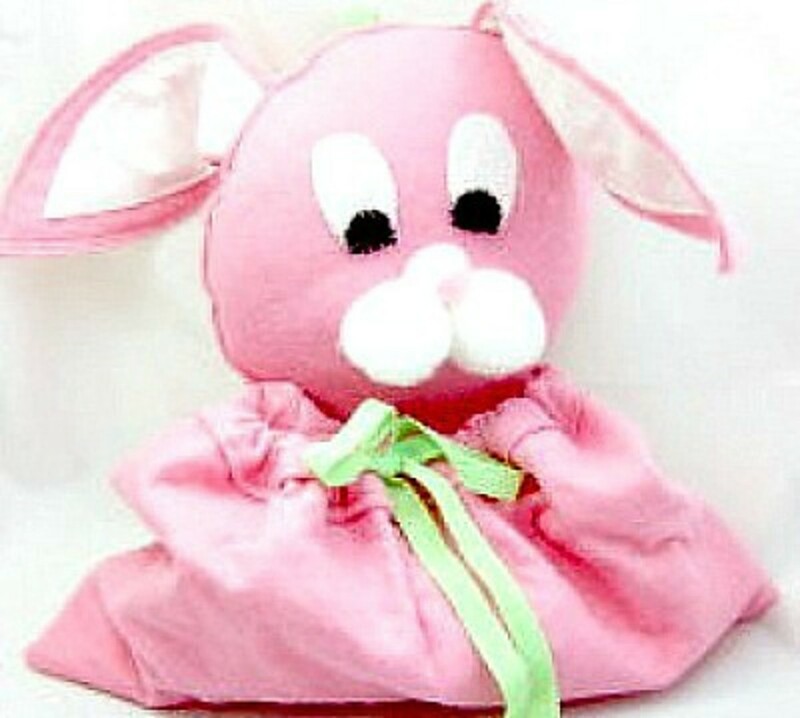 A homemade bunny rabbit like this would be a welcome gift to anyone who appreciates gifts from the heart. You'll find the directions at Woman's Day. I'll bet you know some little kid who would just love to wear bunny ears. 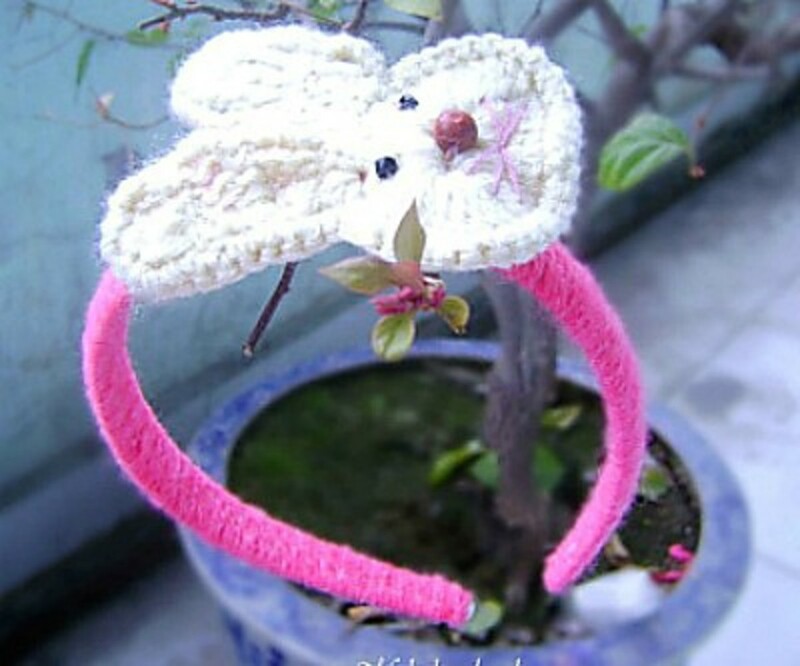 You'll find the directions for making this bunny ear headband at project nursery. 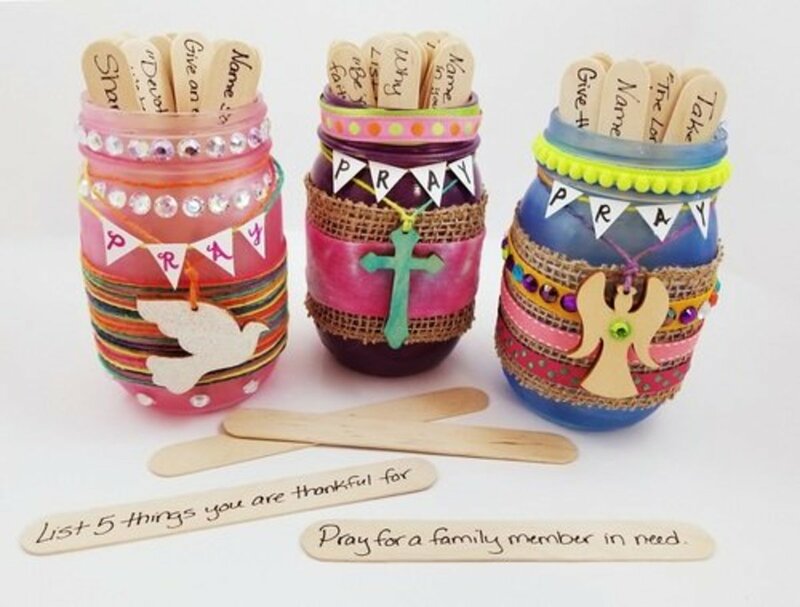 If you like to give small gifts to school or office friends, this is a cute project. 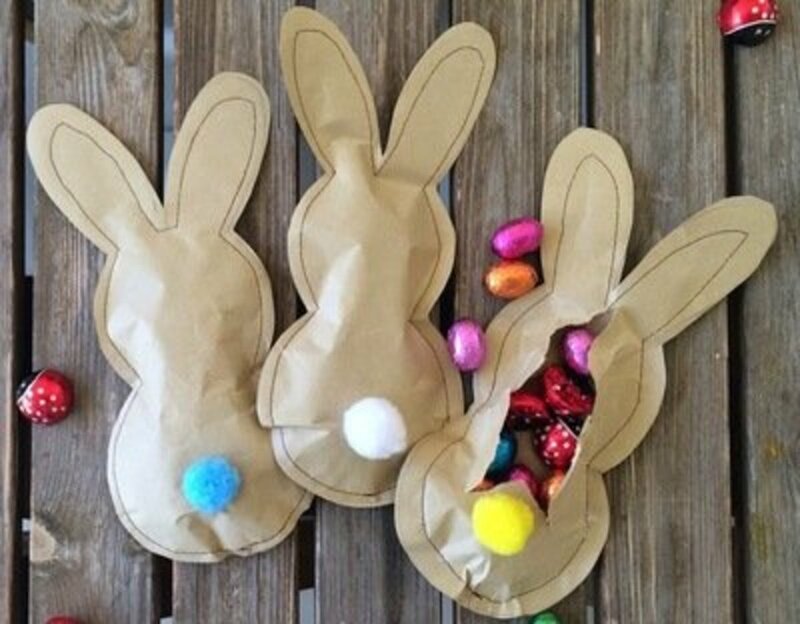 Make these bunny pop-ups, fill them with candy and you are ready to go. Find the pictured instructions at Crafts Unleashed. 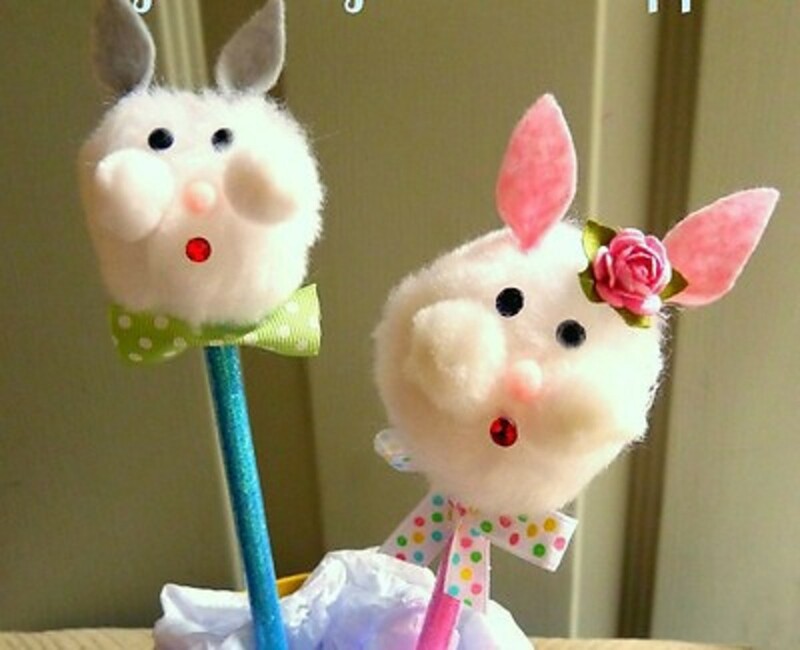 Only playing with these cute bunny puppets will be more fun than making them. 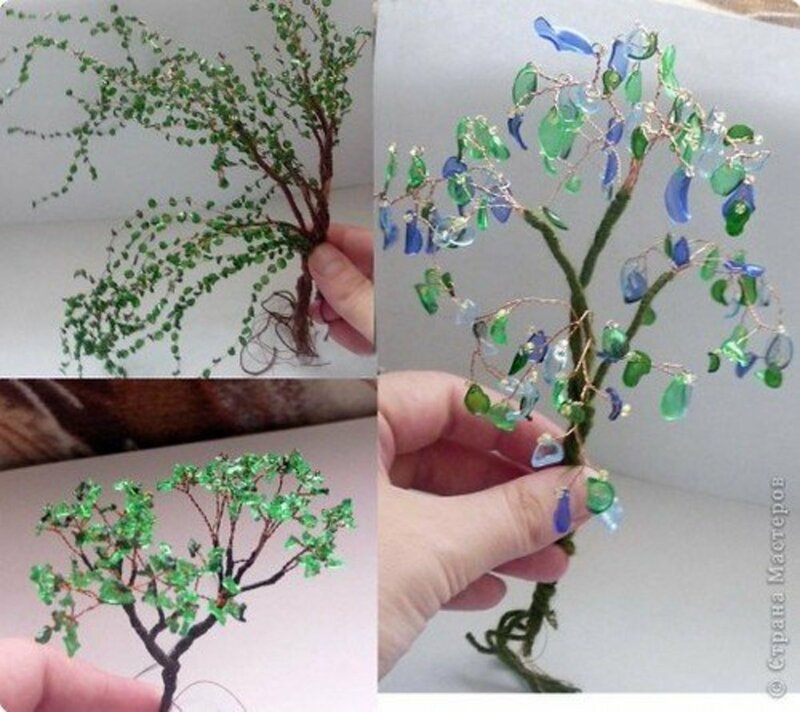 To make them, find the directions at favecrafts.com. 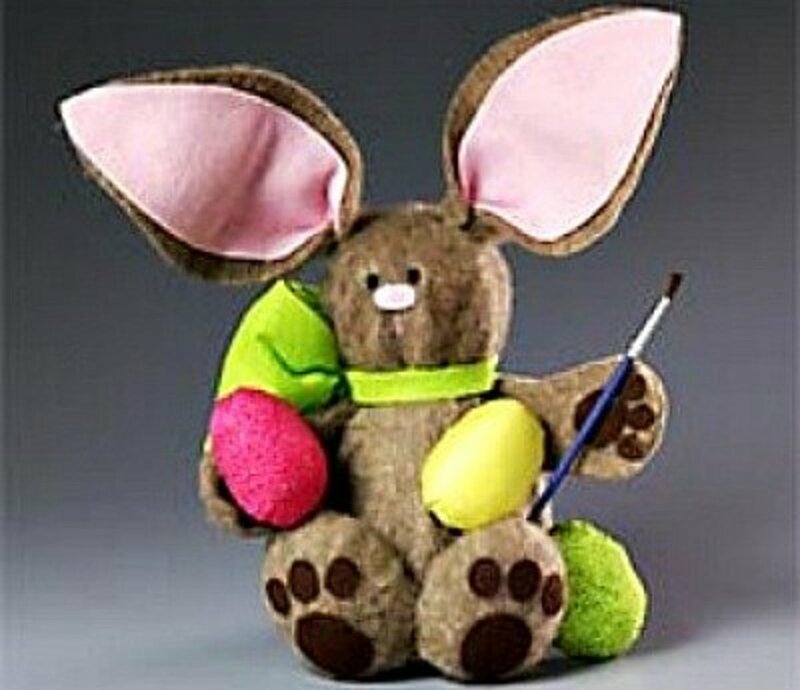 When I look at this little bunny it makes me want to giggle, so you know how much the little kids will love helping make some like it. Go to make and takes for the directions. 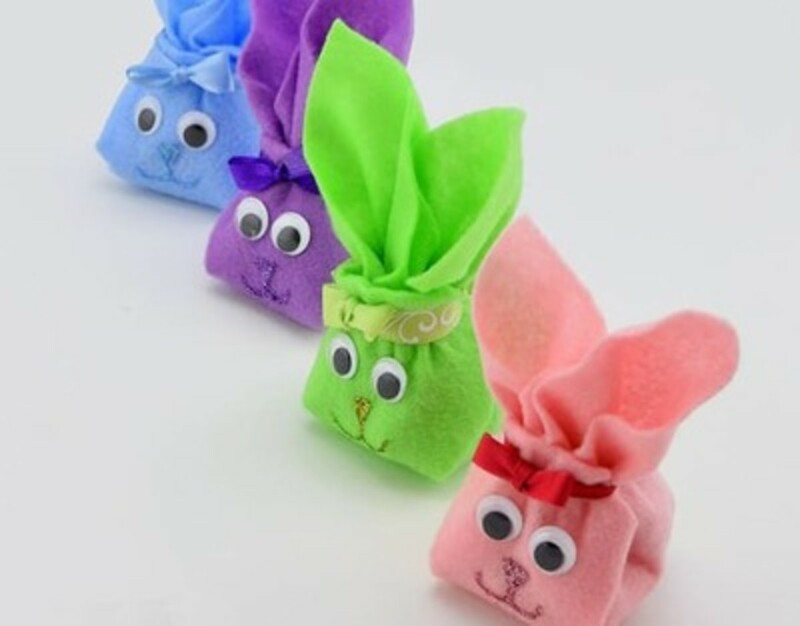 These little bunny pouches are so very easy to make, so they would be perfect as party favors or name cards. You'll find the directions for making them at mer mag. Not only is there this cute bunny, but also a very cute penguin with instructions on how to make them at firstpalette. 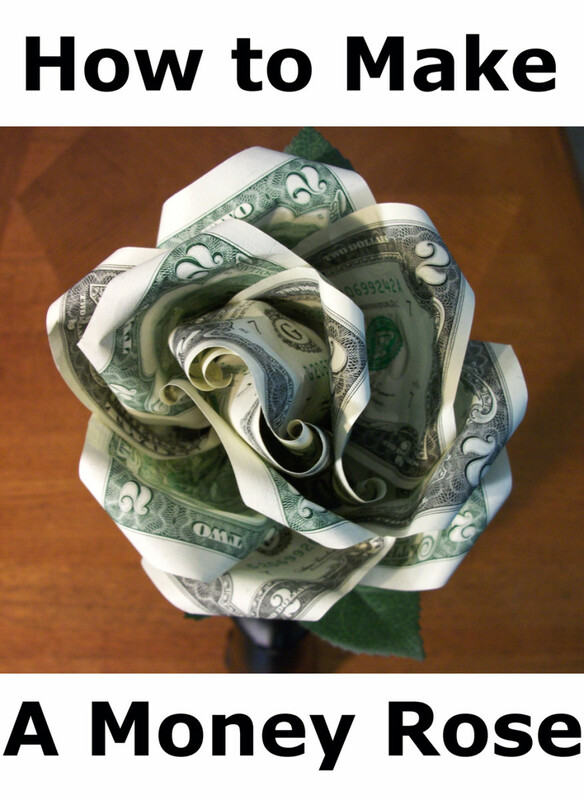 Nice and easy information on how to make paper mache on this site. 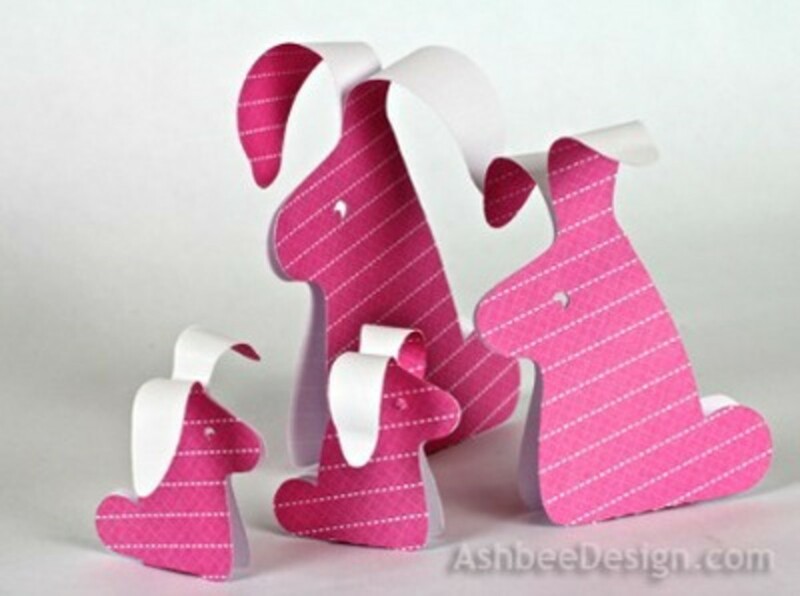 You'll be able to make a bunch of bunnies like these with an assortment of scrapbook papers. Remember, bunnies aren't just for Easter. Go to Ashbee Design for the instructions. This is a great opportunity to get the kids involved in making napkin rings for a party table. Use them at Easter or any Spring or Summer event. The instructions can be found at Crafty Elf. What a nice gift this would make for a youngster who likes to take his/her pet friends to bed. 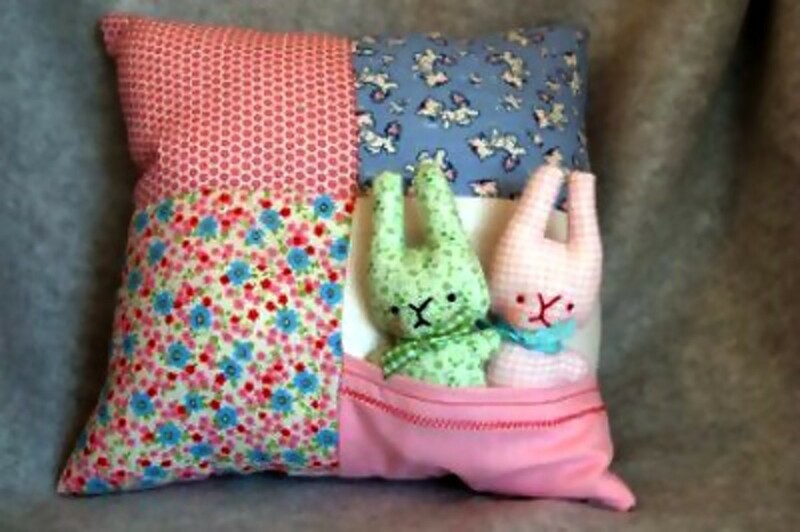 This extra cute bunny pillow can be made by following the instructions that you'll find at crafty carnival. So easy and so appropriate for Easter or anytime of the year. The tutorial for making these cuties is found at Yesterday on Tuesday. 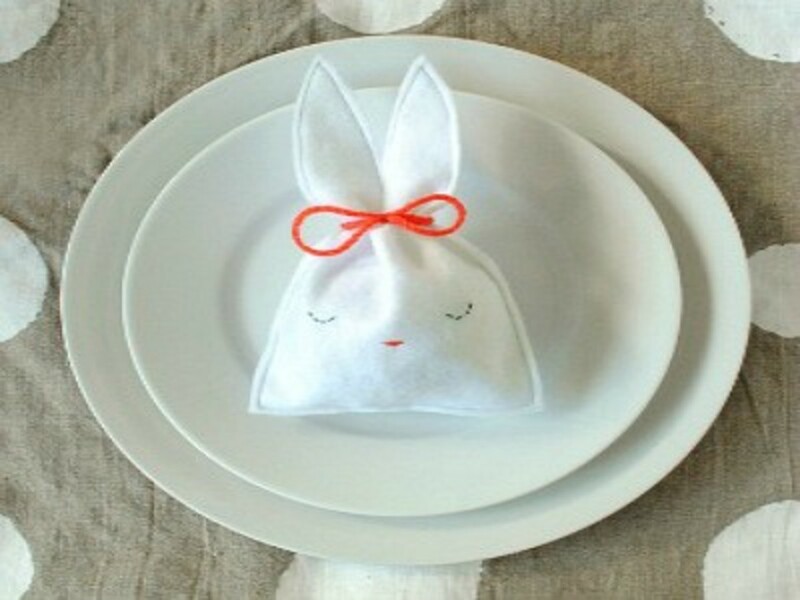 Make these little folded felt bunnies by following the tutorial at Craving Some Creativity. I wonder if this would work with fleece fabric. It's amazing to see how many different bunny crafts that crafters have made and then been kind enough to share their tutorials. A great group of people, those crafters. Thanks for your nice comment, wordswithlove. Lovely ideas all in one place! 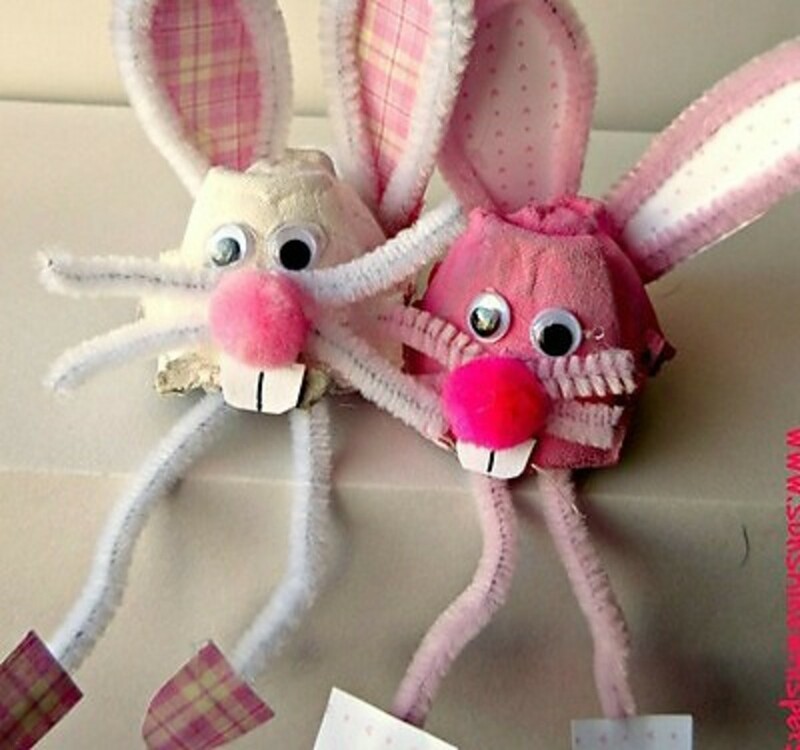 Thank you for sharing these great bunny crafts. Love this lens! I collect bunny figurines so it is right up my alley :) I am going to have to make that fabric bunny basket for my nephew for Easter. Thanks for sharing all these great crafts! 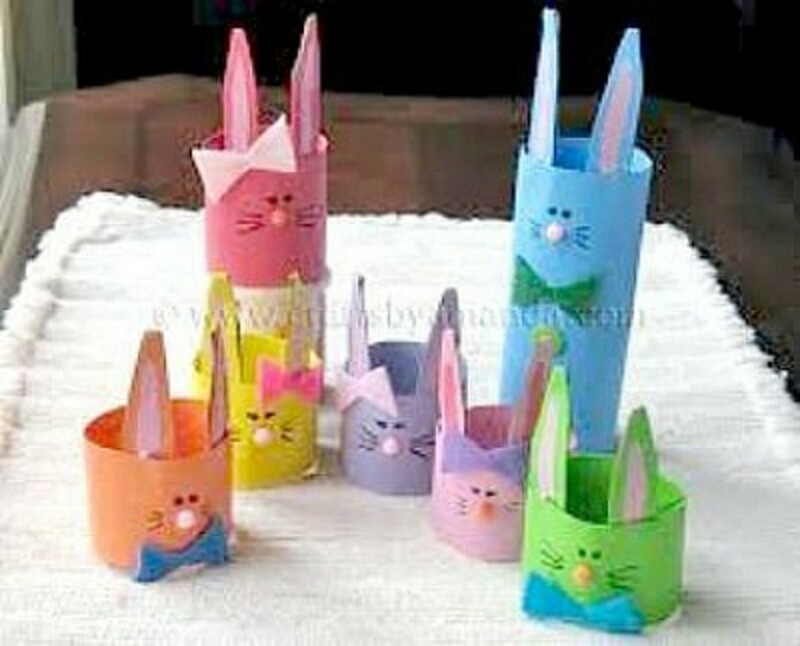 What a great page filled with bunny crafts. I like the Styrofoam bunnies but I think I'll tweak it into a crochet pattern instead. This is an awesome lens! This is a well put together lens!